This family favorite has spawned millions of costumes for adults (and we’ve already done a post on Oz adult costumes!) but what about the kids who want to look like Tinman, or the Lion? Well, we’ve got costumes for them as well! Our children’s section of the online catalog at Halloween Adventures is full of Oz costumes for kids! Don’t want to be one of the main characters this Halloween season? That’s ok! 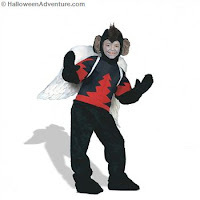 We have a great costume solution for you: our Flying Monkey Children’s Costume. That’s right, these buggers from the Enchanted Forest have now come to life! This adorable deluxe costume includes bodysuit, character headpiece with attached ears, mitts, and boot tops. We even have a Flying Monkey Suit for Toddlers! 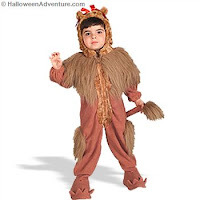 Boys will also love our Cowardly Lion Children’s Costume. This lovely children's costume includes a jumpsuit with fur cowl and trim pieces, and attached hood and boot covers. Officially licensed Wizard of Oz™ costume. The scarecrow is going to the Wizard to get a brain to replace his head full of straw. Our Premium Scarecrow Children’s Costume includes a jumpsuit with attached headpiece and shoe covers. This is an officially licensed Wizard of Oz™ costume. Girls will feel absolutely fabulous in our Dorothy Children’s Costume. This officially licensed child costume includes blue-checkered dress with attached white blouse and one (1) hair ribbon/bow. 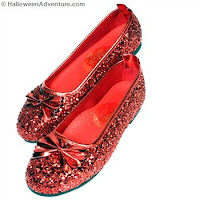 This costume doesn’t come with Ruby Slippers, but you can get a pair HERE. 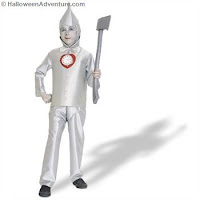 Thankfully, you’ve got a heart, but you can still wear our Tinman Child’s Costume! Includes a silver jumpsuit with padded chest and matching funnel headpiece. This is an officially licensed costume from the Wizard of Oz™. Top the look off by covering your face in silver face paint! For more children’s costumes ideas, visit Halloween Adventures online catalog! Halloween is almost here, so don’t miss out and let your favorite costume slip away! Get them now before it’s too late!